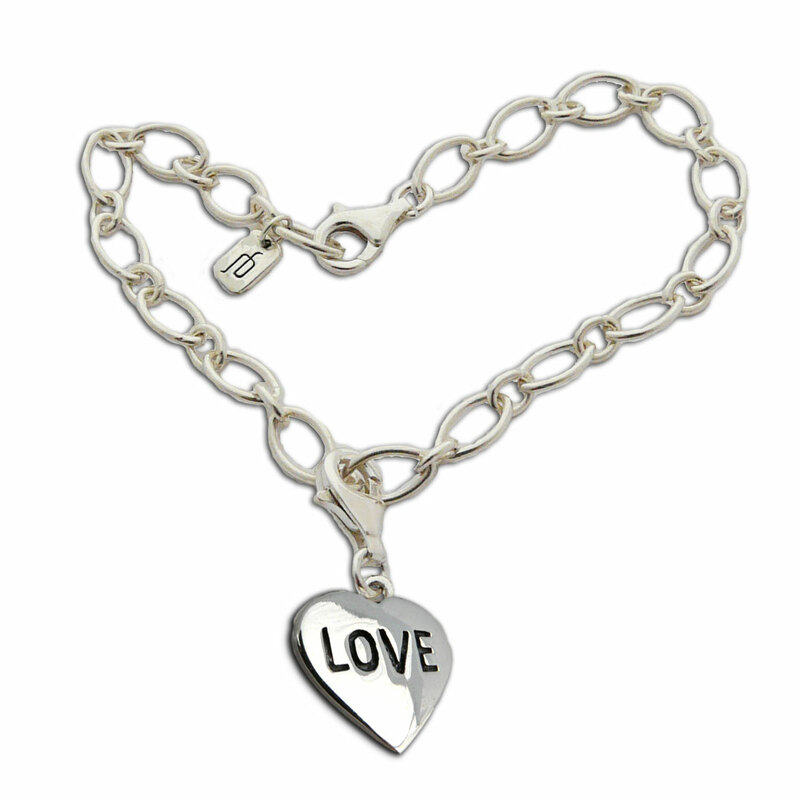 Little heart charm with the word "Love" written on it. This heart pendant has a spring clasp on it so it can be easily removed and more charms can also be added to the bracelet. The bracelet is made of sterling silver and is adjustable up to 7.5 inches or 19 cm. 1 cm + 1 cm clasp, bracelet 7.5 inches / 19 cm adjustable.